The Newport 2 has been redesigned for the home owner who is looking for a smaller version of one of our freestanding comfort homes. You’ll find the same features of spacious living and storage, with plenty of room to entertain family and friends in an open space great room and integrated kitchen with vaulted ceilings. Enjoy a large master suite and bathroom with stylish vanities and walk-in shower. Give yourself the flexibility of a second bedroom or front study room and a full guest bathroom. 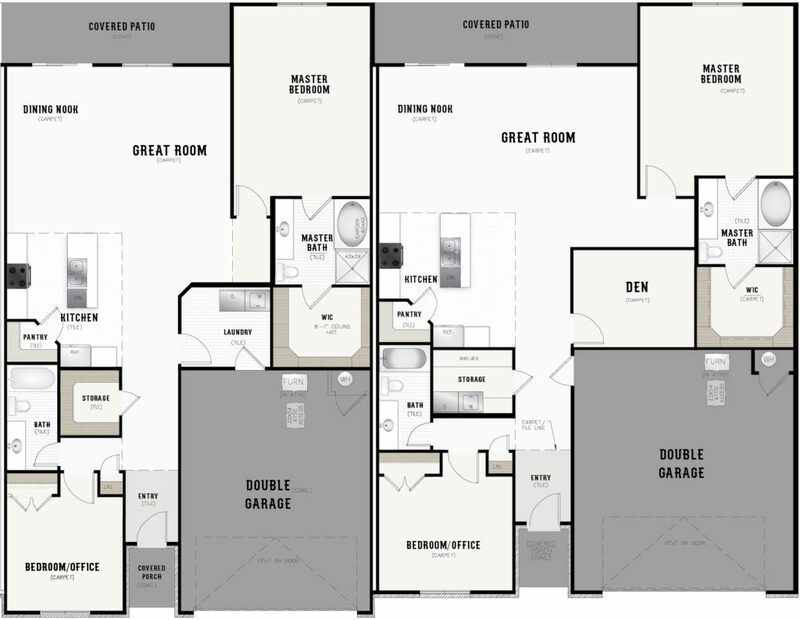 The Newport 2 is recognized for its two-car garage, two bathrooms, two bedroom capacity and two integrated gathering rooms for your lifestyle.